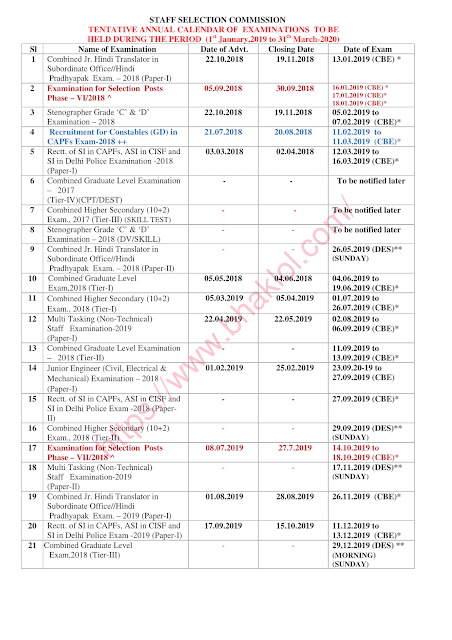 SSC has released released exam calendar of 2019-2020 today on 25th January 2019. SSC CGL 2018(Tier-1) will be conducted from 04.06.2019 to 19.06.2019. SSC CHSL 2018 will be conducted from 01.07.2019 to 26.07.2019. 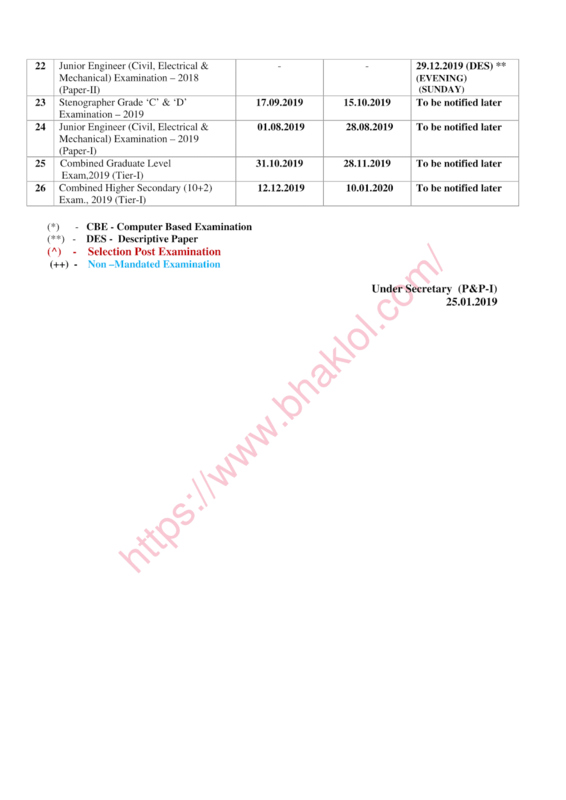 SSC MTS 2019 will be conducted from 02.08.2019 to 06.09.2019.